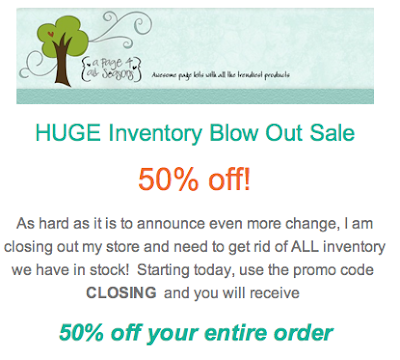 Shyloh Belnap: Sad News with a Happy Discount! Sad News with a Happy Discount! So sad to see you are closing your store. It has been a pleasure to work with you and be an auto-ship member for several years. Your kits have been the best. People go through my scrapbooks and oo and ah over my great pages because of the wonderful designers you have had over the years. Thank you for all your hard work and good luck in your new endeavors. Your a great lady and will surely move on to other successes.